Report of an apartment fire with fire blowing out a window of a condemned unit. Police on arrival report flames coming from a unit window by 8:11 p.m.
E82 on arrival reports fire showing from the B Side, and off with a pre-connect. Leading out a second line to the fire by 8:14 p.m.
TL85 assigned to get the building ground-laddered. Hitting the fire on the second floor by 8:21 p.m. Positive water supply for E82 by 8:22 p.m.
Primary search underway by 8:23 p.m. Interior crew reports multiple rooms on fire and requests a crew be ready for ventilation when they ask for it at 8:24 p.m. -- TL 85 crew assigned for ventilation. Q83 interior with A4 interior with primary search underway by 8:25 p.m.
Fire under control on the second floor with TL85 crew assigned to start ventilating by 8:26 p.m.
BC8 summary at 8:27 PM: Two lines on the fire, building is laddered, ventilation is in progress, primary search complete, ongoing searches on second floor and basement. Interior crew reports a hole in the floor, fire under control and ready for ventilation by 8:27 p.m.
Arlington Heights E4 crew with E82 on the backup line reported at 8:30 p.m. Secondary search in basement and first floor all clearby 8:38 p.m.
BC8 summary at 8:38 p.m.: Fire is out, secondary searches are complete, completing overhaul and ventilation. MABAS Division 5 Box Alarm on Box #5-341 for a commercial structure fire at Merlin Muffler. The extra alarm fire was elevated to the Second Level at 4:48 p.m.
Report of flames and smoke coming out of a chimney. E1222 crew on arrival reports nothing showing. Command reports Zion and Beach Park units can handle; all other units returned. Report of a rollover crash with injuries. Crew on arrival reports a single vehicle with one occupant and returns extra units and communities responding by 11:19 p.m.
Report of a rollover crash involving two vehicles with injuries on southbound I-94 at Mile Marker 3.0. One vehicle has two juvenile occupants, and one vehicle is upside down about 50 feet into a wood area. Crew on arrival reports a vehicle on its roof, out investigating. Extrication complete by 8:49 PM. Report of a fire at Car-X. E62 crew on arrival reports a working fire at Car-X by 1:27 p.m.
BC61 requests a Working Fire response by 1:28 p.m. Box Alarm requested at 2:02 p.m.
MABAS Division 5 Box Alarm on Box #5-940 for a fire at a 2-story frame near the southeast corner of Route 20 and Harmony at 3:48 p.m. Crew on arrival report fire visible in a building across the street from an auto dealer ship -- Harmony Auto Sales. Report of a mobile home fire at Lot 90. BC68 on arrival reports a fire in a trailer. Report of a crash with injuries involving an Illinois State Trooper's vehicle on westbound I-290 just north of Irving Park Road. Second ambulance requested by 4:26 PM. Crew reports crash is just north of Irving Park Road on the outside shoulder. Report of a woman and a dog in the water. Police on scene report the woman is still in the water near the south launch by 3:16 p.m.
BC42 cancels response of the out of town companies. Woman and dog may have been rescued with a ladder on the ice. Report of a crash with injuries and an auto fire on the outbound Bishop Ford at 130th St.
T62 crew on arrival reports a 3-car crash with an auto fire by 8:44 a.m.
Traffic backed up to the curve at 120th St by 8:48 a.m.
TRUCK(S): T62 T ?? TL ?? Report of a house fire with "people trapped from the basement to the second floor" ... all accounted for, but one injured ... fire spreads to house next-door ... elevated to 2-11 Alarm. BC6 reports a 1-1/2-story frame, 20x50 with a fire in the basement, one line led out by 3:27 p.m.
E123 (Third Engine) assigned to Side A by 3:27 p.m. Homeowner reports everyone is out of the building, but entry difficult because of hoarder situation by 3:29 p.m.
BC6 reports companies are going defensive, conducting a PAR at 3:37 p.m.
Main fire building is a 2 1/2-story 25x50 frame with a fire in the basement and the first floor with a Side D exposure. All members pulled of the roof and out of the building by 3:43 p.m.. The exposure building is 6153 South Wolcott Ave -- a 2-story ordinary about 25x75 to the south of the first fire building. 2-2-1 reports five handlines on the 2 1/2-story frame and one line on an exposure to the south. Setting up the elevated master stream by 3:44 p.m.
One patient Code Red being transported by A8 crew at about 3:51 p.m..
Human Service needed for five adults. 2-11 by about 3:58 p.m.
275 reports operations are entirely defensive, PAR is complete with all companies accounted for, and the tower ladder is operating by 4:03 p.m. Looking for the warming bus at 4:25 p.m.
CV275 reports there is no fire in the exposure building, and they're making progress at 4:42 p.m.
CV275 reports 5 handlines are still working and two master streams. Companies are rotating in and out of the warming bus by 5:10 p.m. The exposure building is cleared by 5:10 p.m.
2-11 STRUCK OUT AT 5:16 PM on orders of 2-1-27. Shutting down elevated master streams for re-positioning and currently working with 4 handlines by 5:25 p.m.
Report of a house fire. Crews on response reporting a header and upgrading to a working fire response by 12:03 p.m. Heavy fire at a 2-story house. Crew on arrival reports heavy fire blowing through a garage, and the family room, and the attic by 12:03 p.m.
BC51 reports three lines on the fire by 12:11 p.m. Going to a Box Alarm at 12:19 p.m.
Primary and secondary search complete by 12:41 p.m.
MABAS Division 3 Box Alarm on Box #55-20 for a structure fire (house fire) at 12:22 p.m.
Report of an apartment fire in a brick 2 1/2-story apartment building with one victim killed and one victim critically injured. E95 crew on arrival reports they have a fire. BC18 reports a 2 1/2-story ordinary, 50x70, fire on the second floor, main going up, one line led out by 1:35 a.m.
BC18 reports water on the fire, primary search underway by 1:38 a.m.
Primary search with a victim; requesting Deputy District Chief by 1:52 a.m. -- 2-2-4 assigned. Male, age 86, found dead. Male, age 63, transported to Mount Sinai Hospital -- listed in critical condition. BC18 reports two lines on the fire, hole in the roof, ground ladder to the rear at the roof by 1:53 a.m.
CV271 reports, per BC18, two lines on the fire, main to the roof, ground ladder in the rear, requesting the deputy for victim found on primary search by 1:55 a.m.
CV271 reports secondary search complete and negative, washdown underway by 2:04 a.m.
Report of a fire on the 10th floor in a high-rise building "Bethel Terrace" with one victim and the fire extinguished by a sprinkler head. Crew on arrival reports alarm panel activated on the 10th floor. BC19 reports activation of a sprinkler head showing on the panel for the by 5:26 AM. BC19 reports there was a fire on the 10th floor. The sprinkler system extinguished the fire, and there is one victim discovered by 5:28 AM. A36 crew assigned to the lobby to wait for the victim being brought to the lobby by firefighters. CV274 reports an 11-story residential high-rise,, 150x75, with no smoke conditions, checking on residents and issuing messages throughout the building by 5:40 a.m.
TRUCK(S): T51 T20 TL ?? EMS: A36 FC ?? STANDBY A ?? Report of a rollover crash with injuries. One female occupant injured in the rollover vehicle. Newport E1458 en route at 4:30 p.m. Crew on arrival reports one vehicle on its side with the occupant trapped. Landing Zone at West Frontage Rd and State Line Rd -- Pleasant Prairie Engine assigned at 4:38 p.m. Helicopter airborne (Flight for Life?) and on the way to the scene by 4:48 pm. Patient extricated at 4:50 p.m.
Fire companies cleared by 5:30 p.m.
Report of rear porches on fire at a courtyard apartment building. E22 crew on arrival reports nothing showing; looking around. E21 going to the alley by 12:29 p.m.
E22 in the rear reports a small porch fire in the rear of 531 Michigan Ave.
Request for a fire investigator and a property manager by 12:32 p.m.
Report of a house fire with a 1 1/2-story frame communicating to a 2 1/2-story frame. Still and Box at 6:27 a.m. and a 2-11 at 6:33 AM. E93 crew on arrival reports a 2-story frame with a fire by 6:24 a.m.
TL34 assigned to 104th St and State St.
Ambulance needed at the front of the building at 6:35 AM. Starting to make progress with exterior 2 1/2-inch lines -- "the wind is helping us." (Wind W 9 MPH). Human services needed for 12 adults. TRUCK(S): T27 T24 TL ?? STRUCK OUT AT 7:04 AM on orders of 2-1-9. Report of a refrigerator on fire in an attached garage. E36 crew on arrival reports they do have a garage fire and pulling an 1 3/4 line by 12:19 p.m. Crew reports all doors are closed. Leading out into a side service door to get into the garage by 12:21 a.m.
Fire is burning in the garage, there is smoke in the house, but no fire in the house by 12:22 a.m.
A23 crew taking the line. Water on the fire by 12:24 a.m.
Primary search complete and negative in the basement and first floor by 12:27 AM. E23 taking a second line through the front door by 12:28 am. Fire is knocked, looking for fire extension with several overhead doors open by 12:33 a.m.
MABAS Division 12 EMS Box Alarm on Box # a crash with multiple injuries. M49 transporting patient to Elmhurst Hospital. STRUCK OUT AT 11:04 AM. Report of a house fire upgraded to a Working Fire Response. MABAS Division 4 Box Alarm on Box #14-48 for a residential garage fire at 12:21 p.m. STAGING AT August Zupec just north of fire scene. Police first on the scene report a chimney fire. SQD19 crew on arrival reports attic fire through the roof in a 2-story wood frame that appears to be unoccupied. Command reports a fully-involved attic fire, one 2 1/2-inch line on the fire, raising an aerial ladder, initiating a primary search, and working on water supply by 11:44 a.m.
Reports of pulling ceiling, accessing the seat of the fire, and setting up for overhaul by 11:51 a.m.
Primary under clear on one, two and three. Fire under control by 11:51 a.m.
T20 crew is going to extinguish/wash down the attic with the aerial after crews exit the building. All crews out of the building by 11:55 a.m.
Board-up needed for most of the roof. TL181 crew on arrival reports one vehicle crash into a pole with extrication beginning by 12:18 PM. Extrication complete by 12:22 PM. One patient transported to Centegra Huntley. Report of an alley garage fire at Grace St and Bernard St. Address corrected to 3755 N St Louis. E106 crew reports they're on the scene. BC10 reports two alley garage fires 20x20, two lines on the fires with both garage fires under control by 12:57 AM. OFI requested to the scene. Report of a two-vehicle crash; then a report of a person pinned in by a vehicle. There was also a dispatch of a pedestrian hit, but this information is not verified. At 3:59 p.m. Golf Road dows not appear to be blocked, according to Google Traffic Map layer. BC5 reported no entrapment by 3:04 p.m.
A second ambulance was requested by 3:06 p.m.
Report of a person hit by a vehicle near Binny's. One patient transported to Level I Trauma Center Advocate Lutheran General Hospital. A324 crew, headed southeast, reports a vehicle crash behind them, and turns around to head back to the intersection. E321 assigned to bring a chain saw to the side of the road to cut some trees to clear access to the passenger door of one of the cars by 2:35 p.m. Westbound Rand Road backed up past Long Grove Road. The crash was also reported on Waze. Report of a car vs pole crash with injuries involving an unconscious patient on eastbound Dempster St east of Busse Rd. Good Samaritans attempting to get victim out of the car for CPR by 9:25 a.m.
Police on the scene doing CPR by 9:26 a.m.
Report of a rollover crash with injuries with one occupant awake and breathing. SUV is reported upside down on its roof. Crew on arrival reports reports a vehicle on its roof in the middle of the exit ramp from Route 53 to Northwest Highway with one occupant still in the vehicle. Shutting down the ramp by 9:10 a.m. Patient extricated by 9:13 a.m.
Report of a house fire in a 1 1/2-story brick house. Crew after arrival reports a fire in the basement by 8:32 a.m.
BC21 reports a 1-1/2-story ordinary, 25x40, with a line led out and a primary search underway by 8:34 a.m.
Holding the van, SQD5 in service on the scene by 8:38 AM. Primary search complete and negative by 8:35 AM. BC21 reports secondary search complete and negative, picking up the Field Chief and Standby Ambulance by 8:42 a.m.
BC21 reports final search complete and negative, overhaul underway and in final stages by 8:48 a.m.
TRUCK(S): T ?? T40 TL ?? Report of a fuel oil spill with an explosion but no fire. There is also a report of gasoline spilled throughout the first floor near the kitchen. MABAS Division 4 Box Alarm on Box #38-40 for a hazmat incident at 5:53 PM. Report of a crash with a polce and possible live wires. Police on scene report the pole is on fire and may come down. ComEd requested to the scene. Two lanes shut down on Joliet Road as a precaution for possible utility pole collapse. Joliet Rd remains partially blocked at 8:50 a.m.
Romeoville A21 and T22 assigned to the scene at 8:16 a.m. for a second crash. MABAS Division 20 Box Alarm on Box #299 for a crash with multiple injuries. Report of a fully-involved house fire with some people out of the house, but unknown if all are out of the house. Large header reported by responding units by 8:44 AM. Report that a female jumped out of a second floor window to escape the fire. General alarm and extra ambulance requested by 8:44 AM -- M52 assigned. C50 on arrival reports fully-involved single-family home, cars in the area, with a patient in the front yard by 8:45 AM. E55 on hydrant by 8:45 AM. Crew reports fully-involved at the rear of the house also by 8:46 AM -- utilities reported on the C-Side. Utilities requested to the scene. C50 reports a 2-story single-family home, fully-involved house fire with all occupants account for, and 3 lines on the fire, secure water source, and utilities exposed. Two ambulance requested to check on a report of children by 8:52 AM. M55 en route with one patient to Level I Trauma Center Advocate Good Samaritan Hospital by 8:55 a.m.
EMS General or EMS Box with four additional ambulance requested by 8:59 AM to evaluate children and family members that escaped the house fire. Keeping ambulance communications on local frequency (no IFERN). House was a total loss. Two people seriously injured. Crew on arrival reports single vehicle on its side, and looks like driver is out. Originally reported as Lively Blvd and Devon Ave Elk Grove Village, IL. Report of a fire in a 4-story brick apartment building with a fire on the fourth floor, upgraded to a Still and Box Alarm. E47 crew on arrival reports reports they have a 3-story complex with a fire on the third floor. BC5 reports a 4-story ordinary (occupied), 40x50, fire on the 4th floor, making progress, water on the fire, aerial to the roof by 11:02 a.m.
BC5 primary search complete and negative by 11:04 AM. Primary search complete and negative, other searches are underway, two lines on the fire, making good progress by 11:07 AM. Secondary search underway by 11:08 AM. CV275 reports the major body of fire is out by 11:12 AM. Human Services request for displaced family members by 11:21 AM. STRUCK OUT AT 11:15 AM on orders of 2-2-1. Report of a person threatening to jump on the inbound side. Crew on arrival reports the person is hanging on a fence on the outbound side at 11:12 AM. BC2 requests shut down of the outbound Dan Ryan by 11:15 AM. Location corrected to outbound at 33rd St by 11:06 AM. Police are talking her down by 11:18 AM. BC2 reports all companies returning, except A4 assigned to meet the patient at 33rd St and Wentworth by 11:21 AM. A4 crew transporting one patient to Mercy by 11:23 AM. Report of a house fire with smoke coming from vent. E21's crew on arrival reports a single-family home with smoke showing by 2:30 p.m.
Dog removed from interior, possibly rescuing a dog; crews performing medical help for a dog. Fire is in the A-B corner. Fire is knocked by 2:39 PM. Primary search complete by 2:45 PM; secondary search underway. E54 requests two more ambulances for a total of three -- an EMS Field Chief was also assigned by 11:31 p.m.
E54 requests an EMS Plan 1 by 11:35 p.m. Emergency vehicles entering from 55th Street, going southbound in the northbound lanes. BC19 at 11:45 p.m. requests a plow from IDOT to removes debris from load from a box truck that is making it hard to drive on the Dan Ryan Expressway. BC19 reports that the product the box truck was carrying was all coffee creamer. EMS Plan 1 secured by 11:51 p.m. All ambulances are loaded and leaving the expressway about 11:51 p.m.
EMS PLAN 1 SECURED AT 11:51 PM on orders of 4-4-12. Report of a rollover pin-in crash at 79th St and Spaulding Ave.
BC20 reports at 7:23 p.m. that one car is rolled over on its hood with T59 working on extricating two victims -- requesting a second ambulance for a total of two. The second ambulance, A30, already en route. One victim extricated; now working on extricating a female victim at 7:27 PM. Second patient extricated by 7:36 PM -- SQD immediately assigned to a Still at 7215 Aberdeen St.
A18 transported one patient Code Red to Level I Trauma Center Advocate Christ Medical Center. A30 transported one patient Code Red to Level I Trauma Center Advocate Christ Medical Center. Report of a crash into a building with injuries and possible entrapment. Police concerned about a collapse if the vehicle is moved. E23 crew on arrival reports they are checking the vehicle. No size-up describing details or hazards available. One patient transported to Glenbrook Hospital by A23 crew. Report of a crash with injuries. Crash also reported on Waze. Report of a rollover crash with injuries and two patients entrapped. Eastbound Reed Road backing up. Crew on arrival reports one vehicle on its roof. Coal City, Braidwood mutual aid. Report of a fire started by a candle in a bedroom; all occupants out of the house. E3 crew on arrival reports smoke showing from the second floor a single family split-level home at 6:07 a.m.
Upgraded to a General Alarm by 6:09 a.m.
T1 assigned ventilation by 6:12 a.m.
Fire under control 6:18 a.m. Interior crew reporting loss stopped by 6:44 a.m.
TRUCK(S): T1 T ?? TL ?? Report of a person hit by a black vehicle with the driver waiting with the patient. Report of a person that fell or jumped from the I-57 overpass near Western Avenue and Walter Zimney Drive southeast of Posen. Traffic is flowing smoothly at 8:25 a.m. Wednesday. Report of a crash with injuries. Report of three people injured with one of the patients a medical release/refusal. Report of a gray Toyota 4Runner and a dark gray Toyota Camry involved in a crash. Second ambulance requested at 6:36 a.m. -- Buffalo Grove assigned and then returned. Report of a 47 year-old male child hit by a vehicle and seriously injured at Naval Station Great Lakes. CORRECTION: This was originally reported as a 4-year-old child hit by a car (incorrect age). Report of a 2-story coach house fire. BC4 reports a 2-story coach house, 25x40 with one line led out by 6:10 a.m.
BC4 reports one line led out with water on the fire, ground ladder Side C, atttempting to open roof by 6:11 AM. BC4 requests an ambulance at Side A for an injured civilian. BC4 reports Primary search complete and negative by 6:17 AM. BC4 reports secondary search complete and negative, fire is out, and holding the squad by 6:19 a.m. The fire call was initially reported as 1528 West 21st Place Chicago, IL. 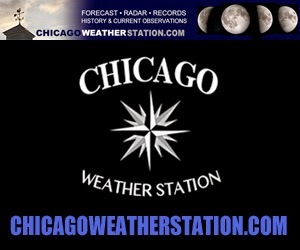 Report of a crash with injuries reported as Barrington Rd and Interstate 90 Hoffman Estates, IL. Crew on arrival reports two vehicles involved with moderate on Barrington Road at the entrance to Steak 'n Shake. Report of a fire in a warehouse, taxi garage. Fire at Medallion Management Company. E44 crew on arrival reports they have a fire at 4:50 p.m.
E44 has blitz attack going with a deck gun, and E57 leading out to the interior of the warehouse by 4:59 p.m.
BC17 reports a fire in a 2-story fire-resistive construction, 50x75, connected to another 2-story about 125x75. Still and Box Struck out on orders of 2-2-4 at 5:27 p.m.
EMS: A ?? FC457 STANDBY A ?? Report of a rollover crash of a truck -- possibly minor injuries. Crew on arrival reports a little truck on it's side and a car with heavy front-end damage. Report of a person stabbed. Offenders possibly in a group of four walking away from the scene. The scene was secured by police by 1:56 a.m.
A9 transported one patient to Level I Trauma Center Advocate Lutheran General Hospital with one extra paramedic on board -- hospital not confirmed. Report of a pin-in crash involving a box truck and a detached semi-trailer. E34 crew on arrival requests a pin-in response. Second ambulance requested by 2:06 PM. BC16 reports they are working with two adult males trapped in a box truck that went up underneath a detached semi-trailer. Charged lines standing by on the ground by 2:15 p.m.
BC16 reports passenger extricated by 2:23 p.m. -- patient transferred to A54 crew. A54 transported one patient Code Red to Mount Sinai Hospital. BC16 reports second patient removed by 2:26 p.m.
A8 transported one patient Code Red to Mount Sinai Hospital. Report of an attached garage fire, fully-involved, elevated to a MABAS Division 2 Box Alarm. 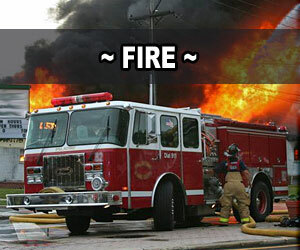 Report of a fully-involved garage fire. MABAS Division 2 Box Alarm on Box #2-10 for an attached garage fire at 7:48 p.m.
Report of a single-vehicle rollover crash with injuries. Vehicle off the road into a field. Crew on approach reports a header is visible. Report of a crash with injuries on Rollins Road one-half mile west of Route 45 with Lake County Sheriff's deputies already on scene. Lake County Sheriff reports a ComEd pole down with no arcing or sparking. A272 crew on arrival reports one vehicle flipped over with a ComEd pole broken by 3:29 a.m.
E93 crew on arrival reports a fire. BC22 reports a 1-story ordinary, 25x50, boarded up vacant building -- requesting a safety chief by 4:21 a.m.
BC22 reports the main body of fire is extinguished by 4:29 AM. Primary search underway, structure is in good shape -- holding the Safety Chief by 4:33 a.m.
TRUCK(S): T27 T42 TL ?? Report of a car vs tree crash with injuries. Police on scene report a gray Jeep crashed into a tree with one patient complaining of injury. Report of a crash with ejection and a vehicle fire on southbound I-57 near Flossmoor Road. Crew on arrival reports a vehicle off the roadway with fire. Two men were ejected from a Lamborghini when the vehicle left I-57 at high speed and hit some trees. Report of a house explosion near the home's garage with fire at a house just north of Elgin Mall -- dispatch address estimated from position on satellite map. E4 crew reporting a header showing and the respond is upgraded to a working fire response. BC1 on arrival reports a fully-involved house fire by 7:36 p.m.
BC1 reports he can't confirm the address because of the fire conditions at the house -- but confirms the house is directly west of Meyer Street and first house north of Elgin Mall. BC1 reports a defensive operation underway immediately after arrival. Report of a crash with two people injured in the local lanes involving a white Kia Forte and a white Ford Van. T52 on arrival reports reports a crash on northbound Route 53 south of Algonquin Rd. BC5 reports the crash is right over the I-90 with possibly 3 or 4 vehicles involved by 7:34 p.m.
Second ambulance requested by 7:37 PM. Two patients transported code yellow by about 7:57 PM. MABAS Division 19 Box Alarm on Box #66-EMS for a traffic accident on eastbound I-90, just west of LaGrange Rd. EB I-80 backed up to Parker Road. Report of a man barricaded in a house on Independence Drive. NIPAS Emergency Rescue Team (SWAT) response. Bartlett Police is dealing with an emergency situation at a residence on Independence Dr. If you live in the immediate area, stay inside your residence and away from the area. Call 9-1-1 if you need medical assistance. The emergency situation on Independence Dr has been safely resolved. Report of a a rollover crash with injuries. Lake County Sheriff's deputy on the scene confirms entrapment by 12:50 a.m.
BC55 on arrival reports on arrival reports a large SUV on its side by 12:50 a.m.
One adult male inside the SUV is entrapped and injured. Patient extricated by 1:05 a.m.
Rollover crash with injuries on Route 60 west of Waukegan Rd near the railroad -- between Waukegan Rd and Academy. Police first on arrival report one female upside down inside the vehicle. MABAS Division 22 Box Alarm on Box #2209 for an apartment fire -- extra alarm to the 3rd Alarm. Initial reports that all residents were safely evacuated from the 3-story brick apartment building. Report of a problem with a hydrant or hydrants in the area. Oak Lawn Engine move up to the scene at 7:34 p.m.
Orland Truck 1 setting up 127 and Aberdeen about 7:37 p.m.
Making progress, setting up a second master stream at 9:24 p.m.
Report of a motorcycle crash with injuries with motorcyclist losing control of the bike on Irving Park Road about one-half mile west of Route 59. Police advice crash is closer to Blue Ridge. Crash is located in the eastbound lanes of Irving Park Road . Report of a rollover crash with injuries and entrapment with a black sedan turned over on its hood on westbound Route 20 east of Shales Parkway. MABAS Division 2 Box Alarm on Box #2-1811 for a barn fire on estate ranch property. Report of a fully involved barn fire at 10:31 a.m.
First unit on arrival reports a fully-involved barn fire -- about 95 percent about 10:35 a.m.
E1811 assigned to hit the fire with a deck gun. EMS: A1852 FC ?? STANDBY A ? ?